So you are a Cricket network’s client and you are burnt out on being attached to Cricket network because you didn’t buy Lg Stylo 3 unlocked and now need your flexibility to pick any telecom company on your LG Stylo 3 anyplace, you are at the ideal place. Now we are able to unlock USA LG Stylo 3 very easily and permanently. We present to you fastest LG Stylo 3 factory unlock service, and our service cannot be outdone. 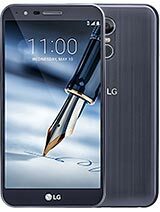 How To Sim Unlock USA CRICKET LG Stylo 3? The best procedure to get your lg unlocked is by Lg Stylo 3 sim unlock code. Each phone has a exact 15 Digit number called IMEI number, and by giving us IMEI # you can get LG Unlock code for your LG Stylo 3 , and by entering that code you can get your USA CRICKET LG Stylo 3 factory unlocked. You can also unlock moto e5 play sprint. How To Order Unlock Code For USA CRICKET LG Stylo 3? Ordering USA CRICKET LG Stylo 3 Unlock Code is just as easy as it gets. All you have to do is type IMEI number of your USA CRICKET LG Stylo 3 and your E-mail address and press the buy now button. In the time explained above we will mail you your USA CRICKET LG Stylo 3 Unlock Code. How To Find IMEI # Of USA CRICKET LG Stylo 3? You can find IMEI # of your USA CRICKET LG Stylo 3 by dialing *#06#. You can see the details on how to find IMEI number of your phone here. How To Enter USA CRICKET LG Stylo 3 Factory Unlock Code? Turn your USA CRICKET LG Stylo 3 off. Insert a non-accepted sim and turn on your USA CRICKET LG Stylo 3. Benefits you get for unlocking your USA CRICKET LG Stylo 3 are pretty cool. Unlocked USA CRICKET LG Stylo 3 have more resale value and attract more buyers because unlocked USA CRICKET LG Stylo 3 can be used more freely. You can read about benefits of unlocking your phone here. All LG Stylo 3 (M430) variants are supported for unlocking. You can also unlock moto g6 play at&t. You dont need to have a concern about risks because there is no risk in unlocking USA CRICKET LG Stylo 3 because you dont need to do any hardware changes, even opening the case of your USA CRICKET LG Stylo 3 is not required. You can read about risks involved in unlocking process here. Why Unlock USA CRICKET LG Stylo 3 With LetsUnlockPhone? On LetsUnlockPhone, you get friendly and esteemy costumer service along with best unlocking service. We are specialists when it comes to unlocking any phone with unlock code (such as at&t, Cricket, rogers, fido, bell, telus etc) whether you have phone from USA (like at&t, Cricket, etc) or or Canada (rogers, fido, bell, telus, fido, koodoo, videotron, etc). Other than that you also get 100% money back guaranty. The unlocking service we offer allows you to use any network provider SIM card in your LG Stylo 3. You can check specs of Lg Stylo 3 here.